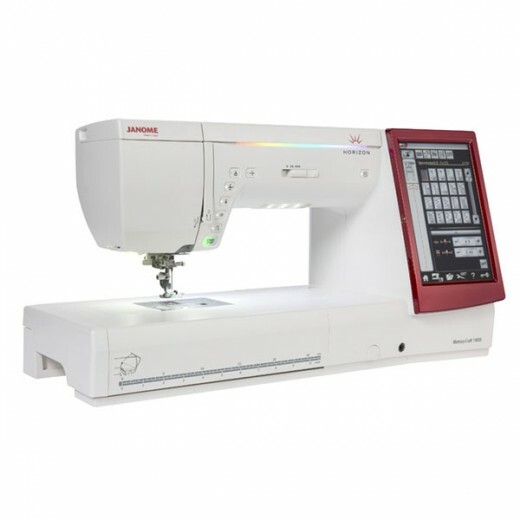 The Janome MC 14000 computerised sewing and embroidery machine has been designed to bring together the best features into one machine. The MC 14000 has a vast range of designs with 400 built-in stitches and 350 built-in embroidery designs, the colourful touchscreen is easy to navigate around and is laid out clear, the sewing assistant will walk you through any sewing task you are having trouble with. Similar to the MC 15000 but without Wifi. Still offering a 230 x 300mm embroidery area.The exclusive built-in two-step conversion from sewing to embroidery is quick and simple and the Janome MC14000 can be used for embroidery, garment sewing, home decoration, fabric, crafting and so much more.